This blog has no concept. It used to have a concept, and then the concept grew up, got a job, and moved out, leaving this blog with empty nest syndrome. So it just sits here. I could get existential about it, but it’s too early in the morning for that. Right, the B-side. As in, the part where I get to ramble without purpose and gaze at navel fuzz and only talk about The Main Site in vaguely veiled references. Like how I passed out from recap fatigue last night (blogging: deceivingly exhausting!) and had to get up at my metaphorical brink of dawn this morning (which is, like, three hours later than real dawn) to write a post about Kim Soo-hyun and aliens. I realize this is not early for most people, but after about your 18th straight night recapping into the wee hours, all sense of time and space starts to blur, much as it would in a Joseon-era fusion sageuk about aliens. Hey, if you have to drag yourself up at ungodly hours, at least the reason should be entertaining. 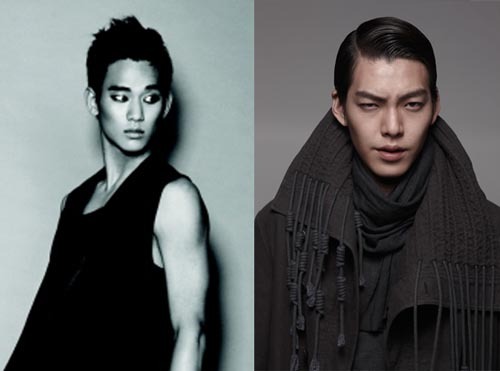 Also, Kim Soo-hyun should really play an alien. He has that vaguely alien-hotness chiseled appeal. Like someone else I could mention. Ahem.